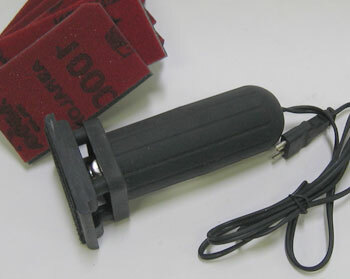 The Caning Shop's Gourd Drill is a tiny 15,000+ rpm high-speed rotary tool. It comes with a universal chuck which accepts drills and burs with shanks up to 1/8" diamter, including dental bits! 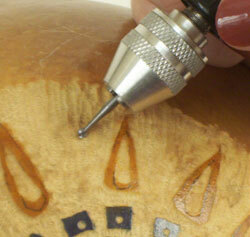 With its light weight (just 5.5 ounces) and compact size, the Gourd Drill is the most suitable tool for carving gourds. 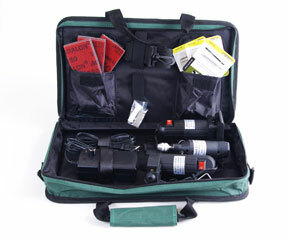 Use the Gourd Drill with our Proxxon NG2 or NG5/3 power supplies. 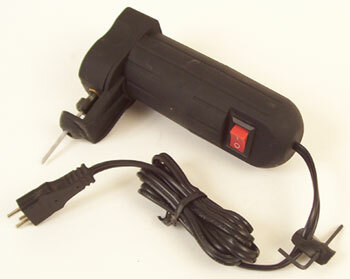 The Gourd Drill is a 15-volt tool and requires a transformer (power supply). Please note: THE DRILL WILL NOT RUN WITHOUT A POWER SUPPLY. We recommend our #70029 Variable Speed Gourd Power Supply for $39.95. We also carry adapter cords if you already have a Proxxon (#70012 $4.95), Minicraft (#70003 $4.95) or Monster (#70012 $4.95) power supply (transformer).